Richard was committed to the passionate pursuit of knowledge. Richard has been a valued member of this department since 1976 and rose through the ranks over the years, becoming a Full Professor. Richard was truly a renaissance man with interests that ranged from the effects of marijuana on cognitive abilities to analysis of individual differences in cerebral organization to the developments of three-player chess. He is, of course, most identified with creative and important developments in statistical analysis. An entry for him in Wikipedia notes that he was one of the pioneers in latent semantic analysis. He made two extremely important contributions to psychometrics, dealing first with the analysis of asymmetric square tables and second, in the analysis multiway tables. His work on PARAFAC is used in biomedical applications, chemometrics and wireless communications. One external reviewer of his work noted that “ He is one of the most influential quantitative methodologists in the past 30 years….he is a fundamental thinker, not distracted by appearances of currently fashionable approaches. He is always walking a few steps ahead of most of us”. Another noted: "His work is well known..his presence and influence looms large and he basically single handedly started the complex discussions about uniqeness several years prior to receiving his PhD." We, and the scientific community, not only have lost a major contributor to theory, we have also lost a truly gentle man- a man playful with ideas, kind-hearted and generous. The world is diminished with his passing. Dr. Richard Allan Harshman is survived by his wife Elizabeth Hampson and was the cherished son of Allan and Louise Harshman and son-in-law of John and Margaret Hampson. Richard was also the dear brother of Susan (Greg) Liddle and dear brother-in-law of Cheryl (Ken) Haddrell, Crystal and Mark. He leaves behind many valued friends and colleagues at U.W.O. 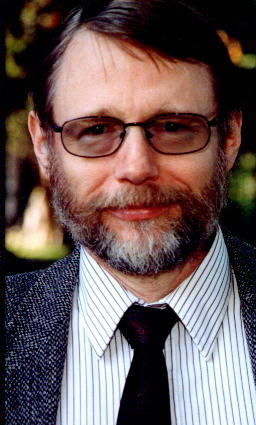 A link to Richard's research is provided here.